The origin of the name Sveta Nedelya is rather obscure. 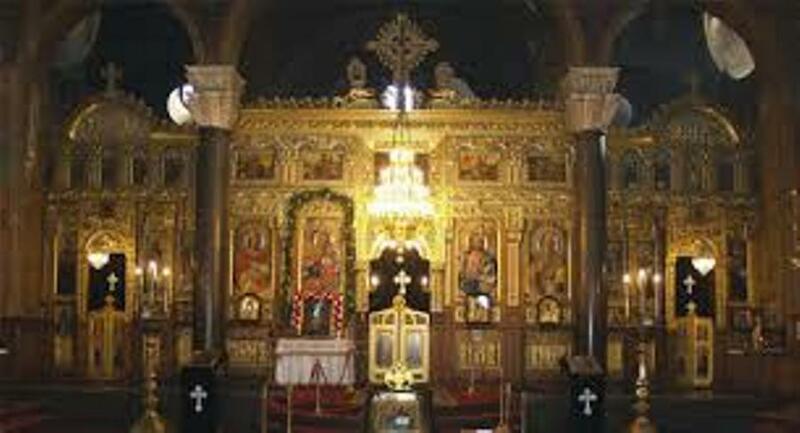 It can be translated as either “Holy Sunday”, “Saint Nedelya”, or even as “Saint Sunday”, depending on which etymology is taken as the basis. 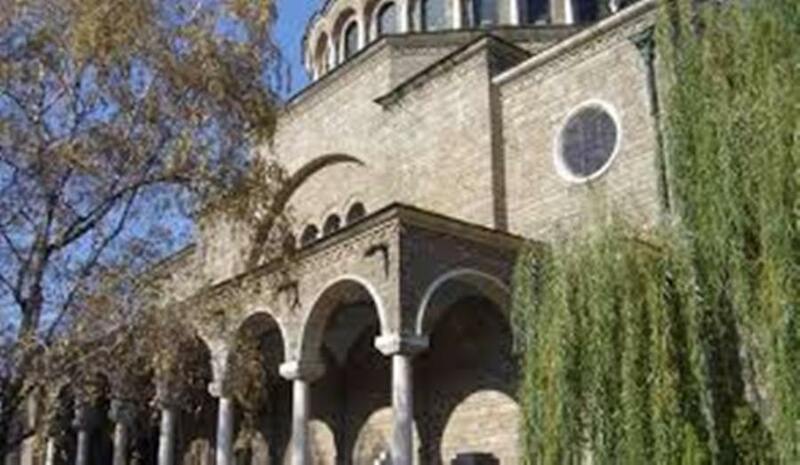 St Nedelya is a medieval church that has suffered destruction through the ages and has been reconstructed many times. 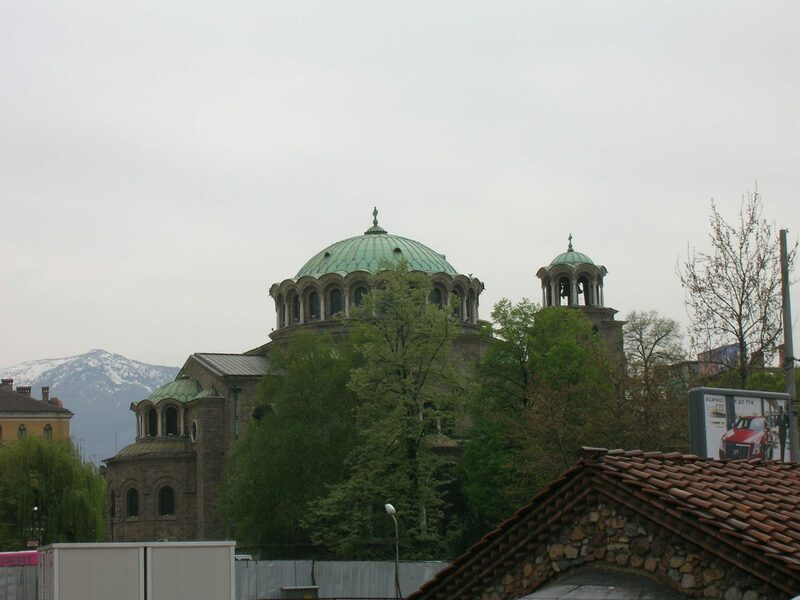 The church Sveta Nedelya lies directly above the ancient crossroads of Serdica (the previous name of Sofia). This church is a direct successor of several smaller churches from medieval times. In the beginning the church was built by wood and it had foundations made of stone. Later on the entire church was built by stone. 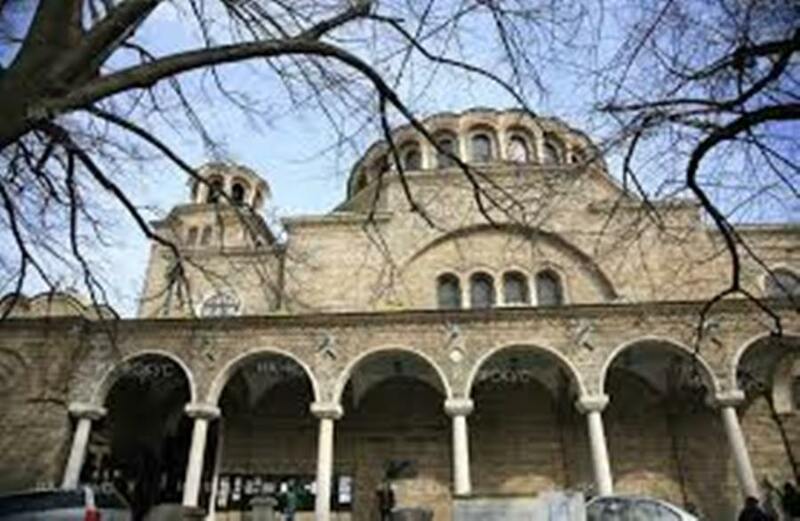 The construction of the 35 m-long and 19 m-wide church began in 1856. The still incomplete building suffered from an earthquake in 1858, which prolonged the construction works which finished in 1863. It was officially inaugurated on 11 May 1867 in the presence of 20,000 people. The church was renovated in 1898, with new domes being added. It was razed in the assault in 1925 that claimed over 150 victims. 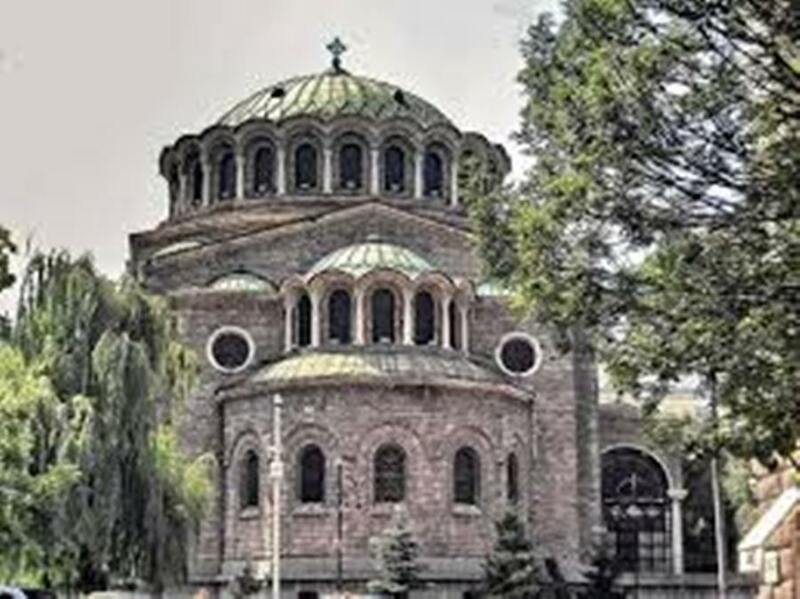 The attack was carried out on 16 April 1925, when a group of the Bulgarian Communist Party blew up the roof of the St Nedelya Church. This occurred during the funeral service of General Konstantin Georgiev, who had been killed in a previous Communist assault on 14 April. 150 people, mainly from the country’s political and military elite, were killed in the attack and around 500 were injured. The explosives were mounted in a package above one of the columns of the main dome, situated by the south entrance to the building. The plan was to detonate the bomb by a 15 m-long cord that would allow the assailants a chance to escape. The evening after the assault, martial law was declared. The attack caused a wave of violent repressions organized by the Military Union with the government’s quiet approval. During the following two weeks, approximately 450 people were killed without being sentenced, including figures like poet Geo Milev. A mass grave of those killed in 1925 was discovered in the 1950s during the construction of a dam, and the corpse of Geo Milev was identified by his glass eye – he had lost an eye in World War I. Many other communists were heavily judged for taking part in the organization. After the assault, the church was restored to its modern appearance. 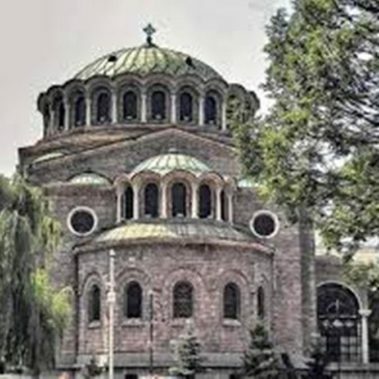 The current architecture and design date back to 1950 when the Communist party decided to restore the church and rename it to Sveta Nedelya. 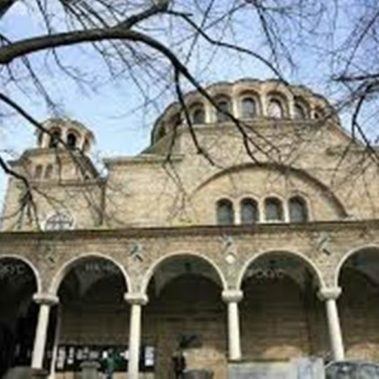 It was previously known as Holly King (Sveti kral) as the remains of the Serbian king StephanUrosh II were kept in this church. 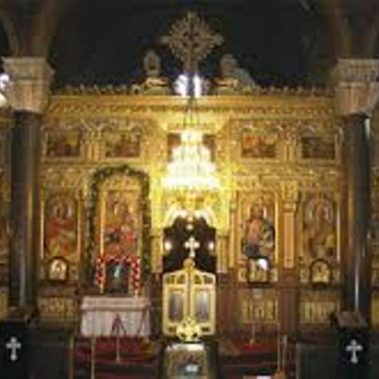 The beautifully preserved wood carved iconostasis dates back to 1865. The murals were added as late as 1976.